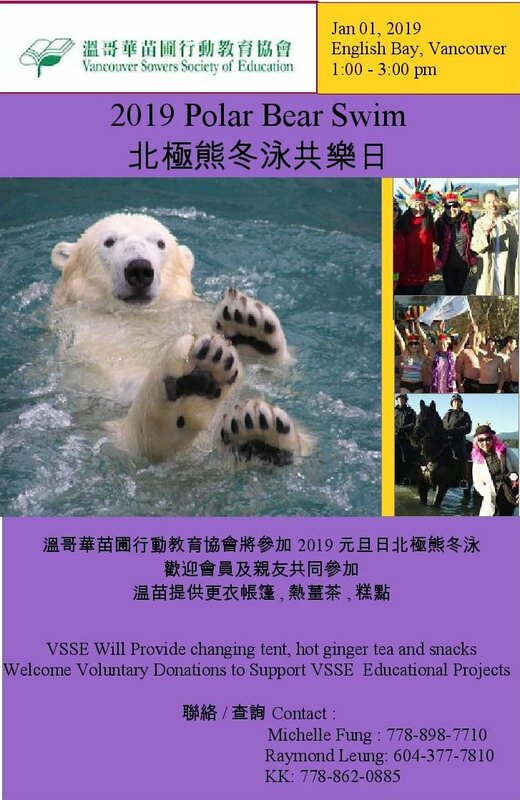 Vancouver Sowers Society of Education and Vancouver Cambie Lions Club will hold the Chinese-Canadian Talent Contest 2019 for Grade 1 to Grade 12 students on May 11, 2019 Saturday. Your children are welcome to join this contest. Please see the Registration Form for details. 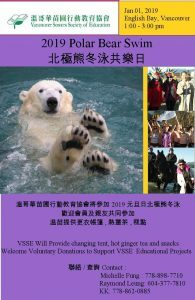 The 12th ” VSSE Crazy Polar Bear Fundraising Swimming ” will be held on January 1, 2019, Tuesday & New Year Day !